Most of us lock our smartphones devices with a password so that we can protect our data and privacy. However, once the device is unlocked, not only your data but also your private chats sent on social media apps are accessible by anyone. WhatsApp, the popular instant messaging platform that uses end-to-end encryption to protect chats, has gone a step further to add an additional layer of security. 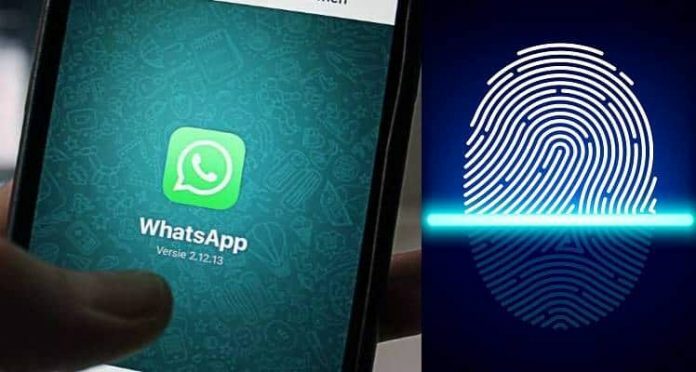 WhatsApp has added a fingerprint lock feature to its chats that users will have to use to authenticate the app every time they want to check WhatsApp chats. WhatsApp has rolled out its latest authentication or unlock feature for all beta users on iOS, which is available in the new 2.19.20.19 beta update published through TestFlight beta program. This fingerprint lock feature is added to the WhatsApp application on the iPhone. According to WABetainfo who first spotted the feature, say that while users can use FaceID unlock feature on devices such as iPhone X or newer, TouchID or passcode is available for iPhones with a fingerprint sensor. So, how can one enable this feature? Users can start using the authentication feature by going to WhatsApp settings, choosing Screen Lock and then starting the authentication feature for their devices. Enabling of the feature will not prevent users from replying to messages from the locked screen and also allow them to answer WhatsApp calls without the authentication. Users will have to configure the TouchID or FaceID unlock feature on WhatsApp. Once the configuration is done, users need to shut down the app and restart it again. In order to use WhatsApp, users will have to authenticate their identity. In the event, the iPhone fails to detect the user’s identity through TouchID, he or she can open WhatsApp by using the iPhone password. The FaceID works for iPhone X, and newer. Once the authentication or fingerprint lock feature is enabled, WhatsApp displays an empty view and not the preview snapshot in the background. WhatsApp will not get any of the user’s biometric data, as the fingerprint and facial data will remain encrypted in the phone, which means that enabling the fingerprint unlock feature for WhatsApp is safe to use. The new feature is expected to be immediately enabled in the next 2.19.20 App Store update.